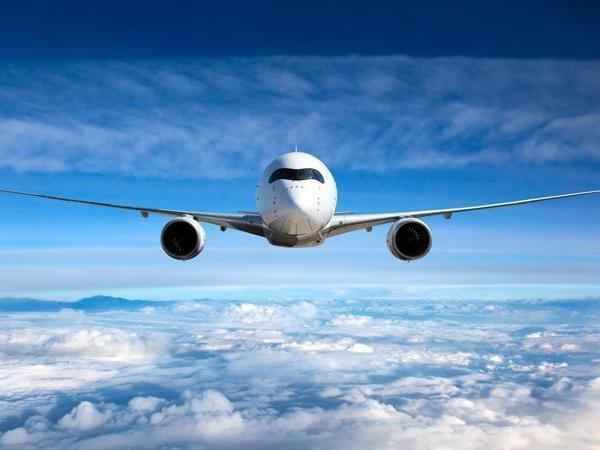 Direct flights will be opened between Azerbaijan and Pakistan, Azerbaijani Ambassador to Pakistan Ali Alizade said on the Pakistani television channel Channel 5. The parties began to work in this direction, he said during the Diplomatic Enclave telecast. Today, about 300 companies and entrepreneurs from Pakistan are working in Azerbaijan, the number of Pakistani tourists visiting Azerbaijan is growing, the ambassador said. The ambassador emphasized that Azerbaijan was interested in expanding cooperation with Pakistan in economic and trade spheres, adding that there are many joint projects, exhibitions, increase in trade turnover between the two countries this year, and that potential and opportunities in this area need to be thoroughly explored. The envoy talked about the products that can be exported from Azerbaijan to Pakistan and that there are about 300 Pakistani companies and businessmen operating in our country, multiple increase in the number of tourists coming from Pakistan to the country and that work on the establishment of direct air communication between the two countries is currently underway. He also informed about the conditions created for foreign investors in Azerbaijan, the activities of the agricultural, industrial and technological parks, economic zones, the international transport corridors passing through our country, the possibility of Pakistan's joining to these projects, military, technical, energy, tourism and other spheres. He added that opportunities for mutual investment have increased. Alizade responded to the question regarding the cooperation between Azerbaijan and Pakistan in the military field, saying that this area is a priority field in bilateral relations, both countries suffer from terrorism and extremism and have always supported each other. He stressed that Armenia occupied Azerbaijani territories and implemented a policy of ethnic cleansing, destruction of religious and cultural monuments and ignored the resolutions adopted by international organizations. Touching upon the current situation in Pakistan, the ambassador said that progress is being observed in Pakistan and that the new government is implementing projects in the economic, social and humanitarian spheres, all of which contribute to the development of the country and that Azerbaijan is always with Pakistan. Azerbaijan–Pakistan relations are considered to be of "strategic partners" nature. The strategic partnership between Azerbaijan and Pakistan has contributed to the cooperation in economic, trade, military-technical, energy, tourism and other spheres. Azerbaijan took part at the international travel and tourism exhibition "Pakistan Travel Mart" that was held in Karachi in October 2018. The promotion of tourism potential of Azerbaijan, simplification of visa regime for Pakistani citizens and the launch of the ASAN Visa system increased the number of Pakistani tourists visiting Azerbaijan. Compared to 2016, the number of Pakistani people who travel to Azerbaijan has increased six-fold in 2017. In 2017, the number of Pakistani citizens, visiting Azerbaijan was between 20,000 – 25,000. The number of Pakistani tourists visiting Azerbaijan has increased by more than eight times over the past two years. As many as 17,558 Pakistani tourists came in Azerbaijan in 2017, 3,998 in 2016, 2193 in 2015, and 1,817 tourists in 2014. According to the State Customs Committee of Azerbaijan, the trade turnover between the two countries amounted to $8.34 million in January-September 2018. The bulk of the turnover fell on Pakistani exports to Azerbaijan. Compared to the same period of 2017, trade turnover has increased by 22.46 percent. In 2017, trade turnover between Azerbaijan and Pakistan amounted to $5.2 million. Around $402,470 of this amount accounted for export of Azerbaijan’s products to Pakistan, and $4.8 million accounted for import of Pakistani products to Azerbaijan. Pakistan became the second country after Turkey that recognized the independence of Azerbaijan in 1991. The diplomatic relations between two countries were established on June 9, 1992. Pakistan backed Azerbaijan during and after the Nagorno-Karabakh War. Pakistan fully supports Azerbaijan's fair position in the Armenia-Azerbaijan Nagorno-Karabakh conflict. In 2012, Pakistan adopted a resolution strongly condemning the genocide against the civilian population of Khojaly, which was committed by Armenian armed forces. Then, in October 2013, the Senate adopted a document supporting the territorial integrity of Azerbaijan. The military cooperation takes a special place in Azerbaijan-Pakistan relations.